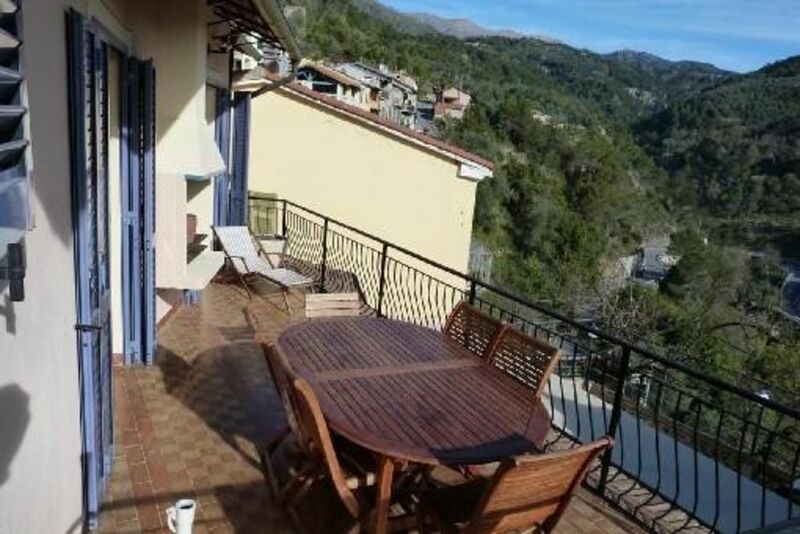 Large, 200m2 house built in the heart of a charming, typically Italian village, just a few metres from the French border, 30 min from Menton, Nice and Monaco and 9 miles from the sea and Vintimille. Very beautiful and unobstructed view over 2 valleys. Sunny and shady terraces. Can accommodate 6-20 people. Prices vary depending on the size of the group and the services required. Extra accommodation is available - please contact the owner for availability. Meals can be prepared on site: pizzas, soccas and cakes baked in the bread oven, as well as local produce and wine. Wood for heating is available (priced per m3). Cleaning possible at the end of your stay. Pets allowed with owner's prior agreement. Gas plancha grill on the kitchen terrace. Wir haben mit 17 Personen in diesem Haus unseren Urlaub verbracht. Toller Ausblick und viel Raum für alle. Sehr nette Verwaltung. Location draps et serviettes: demander sur le contrat. Ménage optionnel:50 euros à régler avant départ.